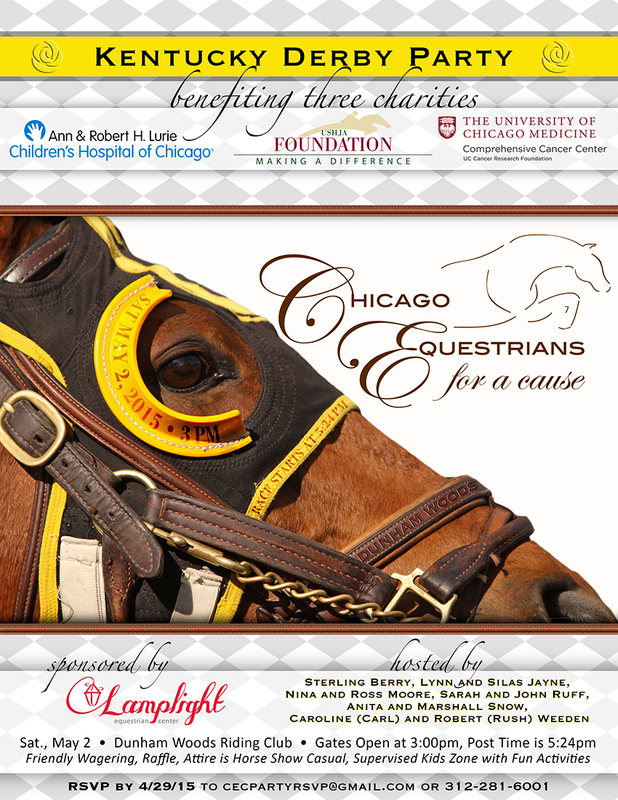 Wayne, IL – April 25, 2015 – Chicago Equestrians for a Cause will be hosting The Running of the Roses, a Kentucky Derby Charity Event at the historic Dunham Woods Riding Club in Wayne, IL. on Saturday May 2nd. Join them for an afternoon of cocktails and appetizers to watch the 141st running of the Kentucky Derby. The event includes a supervised kids zone with fun activities, friendly wagering and great raffle items. The event is generously sponsored by Lamplight Equestrian Center. The event will be hosted by Sterling Berry, Lynn and Sylas Jayne, Nina and Ross Moore, Anita and Marshall Snow and Caroline and Rush Weeden. and the University of Chicago Cancer Research Foundation.